Harmony Korine’s Loop Paintings « Adafruit Industries – Makers, hackers, artists, designers and engineers! 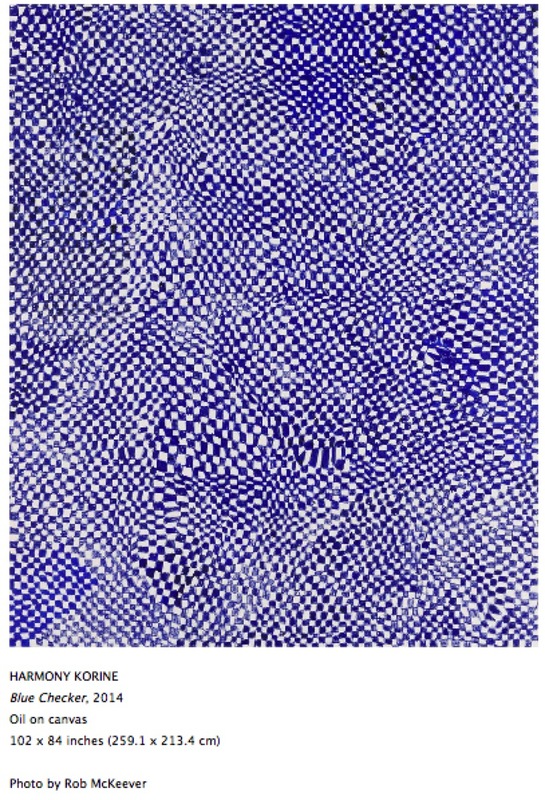 Harmony Korine – May 12 – June 21, 2014 – Gagosian Gallery. Loop Paintings are the result of a process somewhat related to filmmaking: Korine cast young men and women, made them up as elderly people, and photographed them in alleyways. He then laid down the resulting photographs on canvas in idiosyncratic progressions that recall other serial experiments, from Eadweard Muybridge’s depictions of motion, to Andy Warhol’s Disaster paintings, to folk paintings of the American South. Other works, some painted and re-painted over the course of several years, are inhabited by shadowy, clawed creatures reminiscent of Goya’s ghastly Caprices, interspersed with sprayed letters. The accumulative hypnotic effect of Korine’s paintings is offset by lifelike randomness and impulsive energy—the elements of “mistakism,” as he describes them.